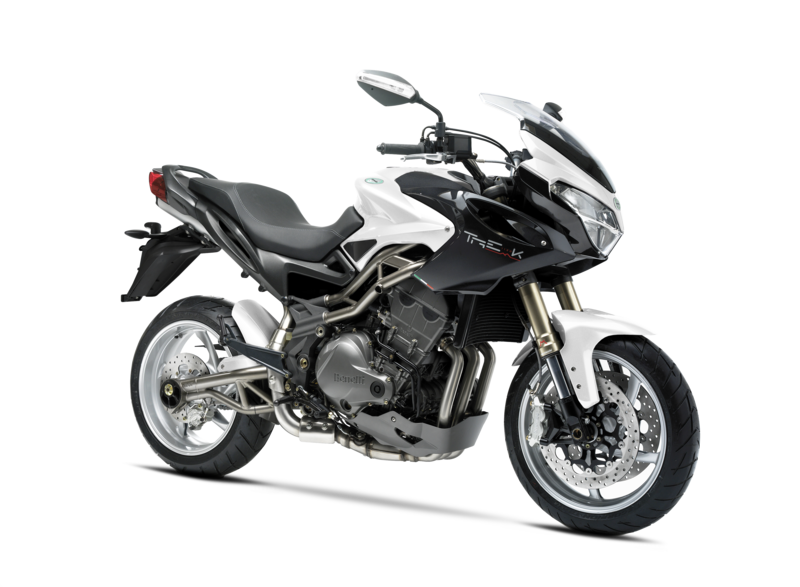 If you’re the type of rider who values a good bit of ‘sport’ in your sport-touring travels, Benelli’s new Tre 1130 K is the bike for you. 50mm Marzocchi forks and adjustable Sachs shocker are fitted to a highly developed trestle frame and swingarm. 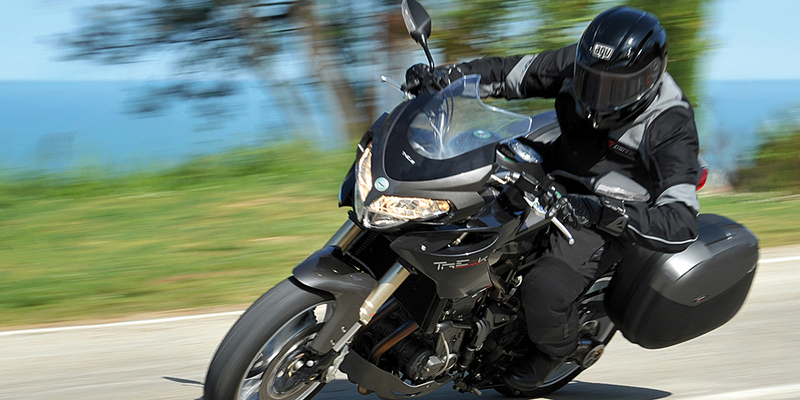 The result is high level of comfort, excellent control and rider feedback that is class leading. 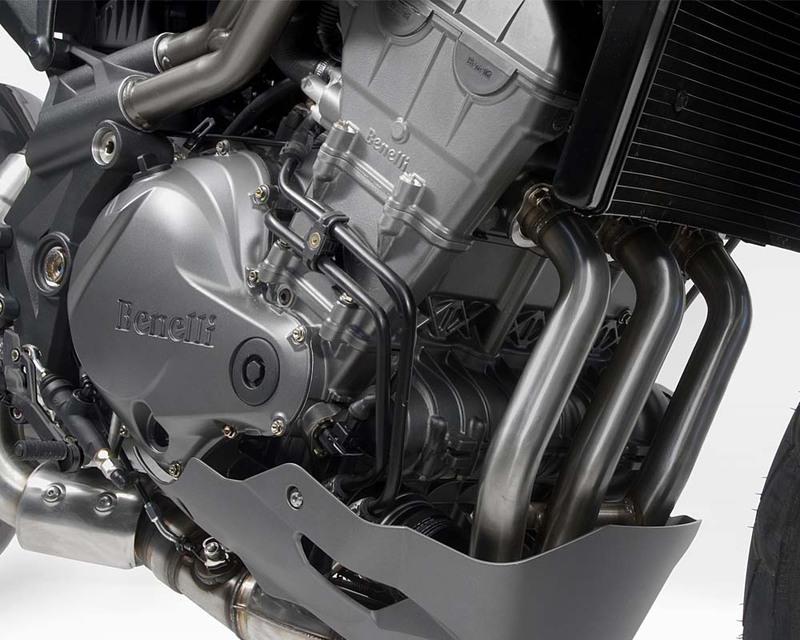 The “heart” of Tre 1130 K is in line three cylinder engine, trademark of Benelli. Double overhead camshaft, 4 valves per cylinder, hydraulic command clutch, 6 speed gearbox, are guarantee of amazing power and absolute quality. On the front wheel there are two 320 mm discs with Brembo 4 piston calipers and at the rear one 240 mm disc and a double piston caliper. 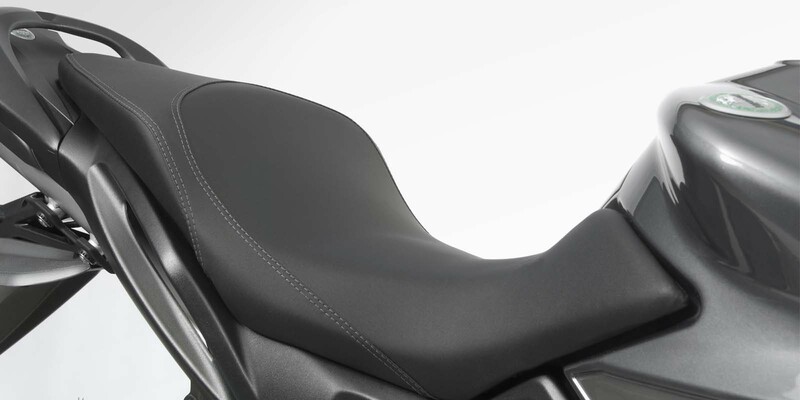 The riding position (a high handlebar, plush seat and plenty of seat-to-peg distance) and beautifully sculpted fairing offer true touring-bike comfort, after evey single corner. So take a sporty motorcycle trip. 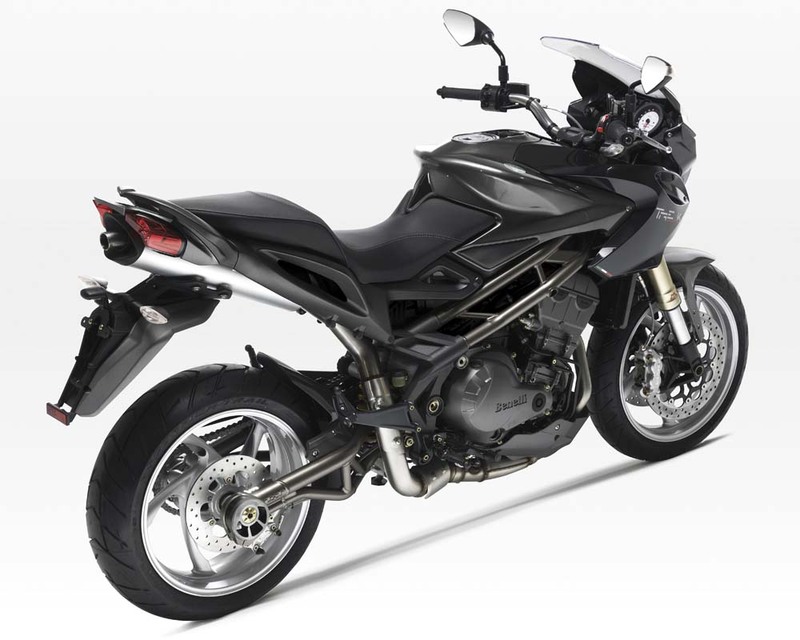 And do it in comfort on the Tre-K 1130, from Benelli. 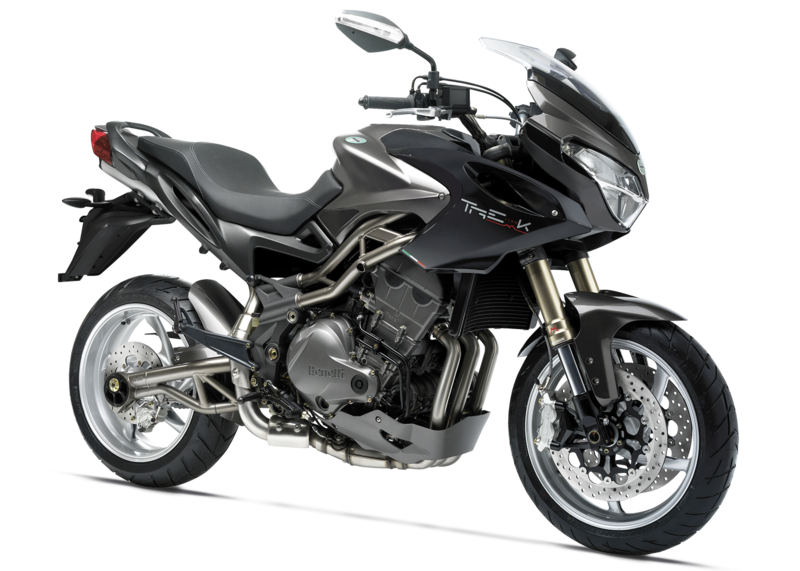 The Tre-K’s liquid-cooled, 1131cc three-cylinder engine pumps out 125 smooth horsepower over a wide rpm range, which allows effortless high-speed touring and smooth-as-silk operation. 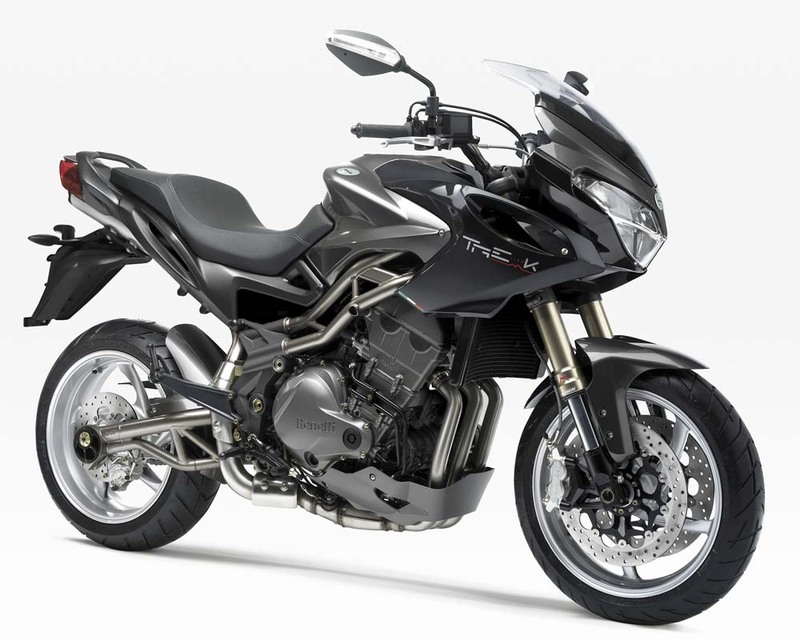 Like the TNT 1130 R, the Tre-K employs a hybrid frame comprised of beautiful steel tubing connected to a cast alloy rear section. The combination offers light weight and superb rigidity for exceptional handling characteristics. 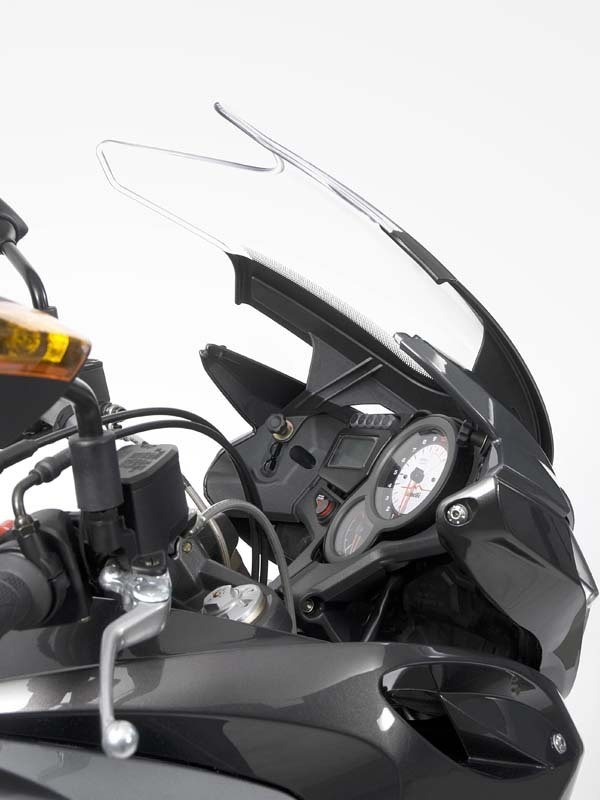 A high and wide handlebar, combined with a plush saddle, superb wind and weather protection from the half-fairing, and generous seat-to-peg distance, make the Tre-K a comfortable long-haul partner. A fully adjustable 50mm inverted Marzocchi fork with optimized internal settings combines with a multi-adjustable Sachs single-shock system in back to offer exceptional ride smoothness and wheel control. 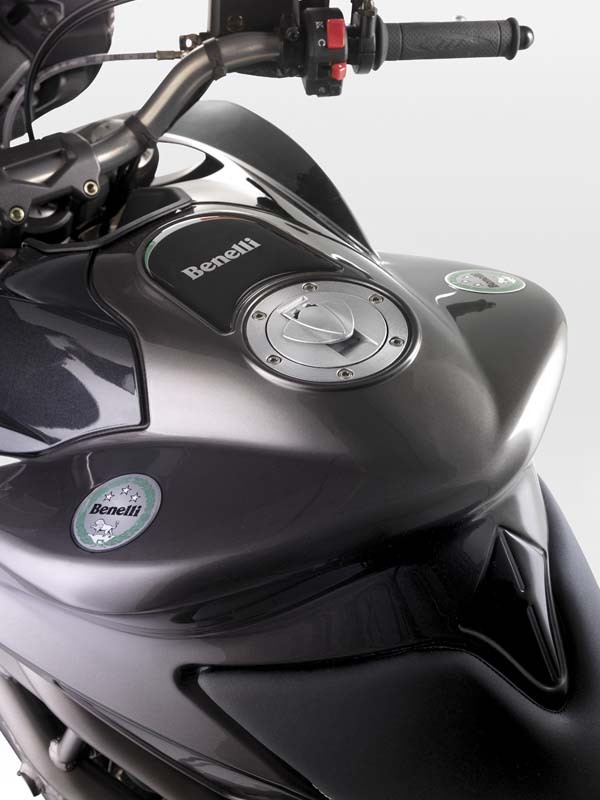 TYPE In line 3 cylinders, 4-stroke, liquid cooled , 4 valves per cylinder double overhead camshaft, with balancer shaft. REAR SHOCK ABSORBER STROKE n.d.